Blog Quick Quotes: Stamping on Pages with Susie! 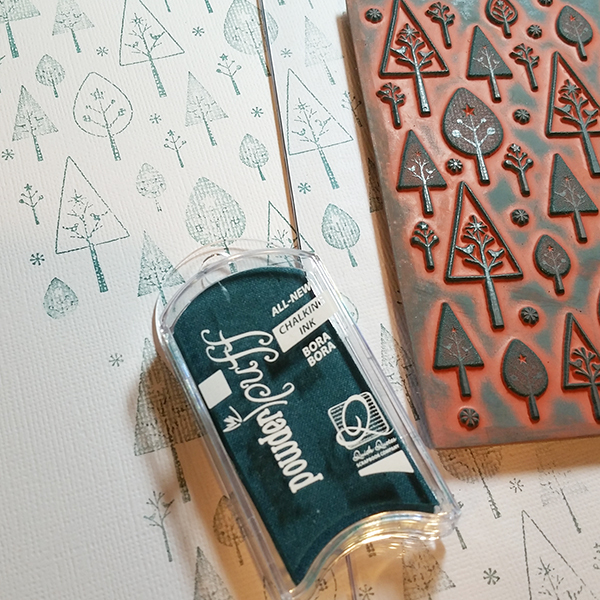 Stamping on Pages with Susie! Hello and welcome! Susie hosting the blog today and I will be sharing a little idea to help you stretch your scrapbook paper. But first I want to talk pictures! If you are like me, you have stacks of photos that are pre-digital camera. I have 3 kids and I want to share all of our family pictures with each one of them. The answer of course is to scan them to my computer. 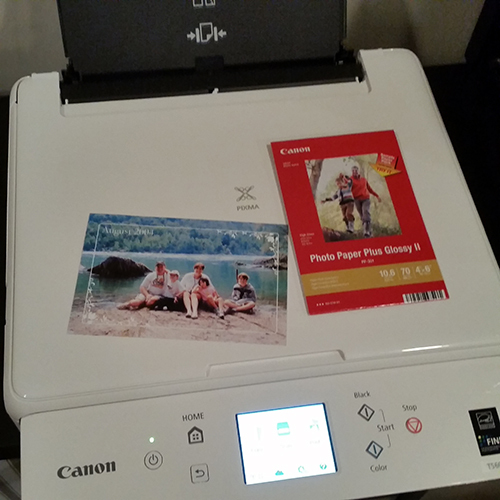 As part of the Quick Quotes Design Team I recently received a Canon Pixma TS6020 scanner and printer combination. For this layout, I scanned in a photo from a 2004 trip we took to Niagara Falls. The Image Garden software that came with the printer has tons of creative options so I decided to play a little bit. 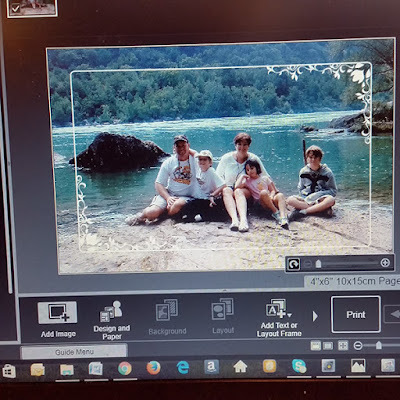 I used the Collage function to add a simple white frame and the date before I sent it to print. It was fast and easy! 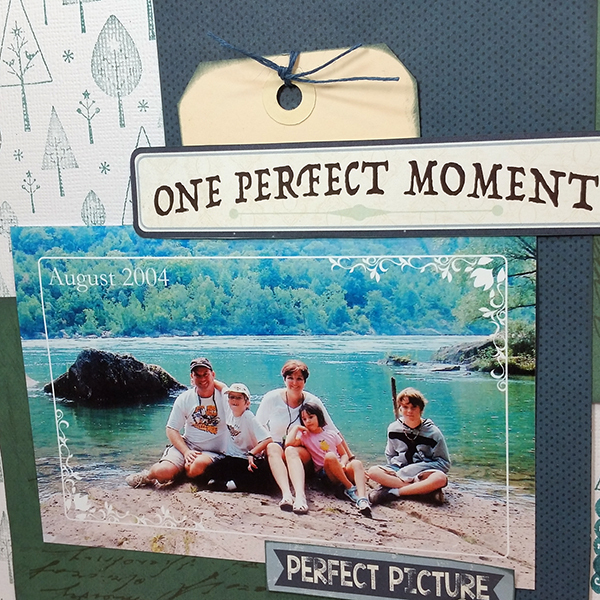 So, are you ready for a simple tip on how to stretch your scrapbook paper? Use stamps and inks to create custom backgrounds on solid cardstock! I had just a couple of paper pieces left over from the Earth Wind Fire Collection. 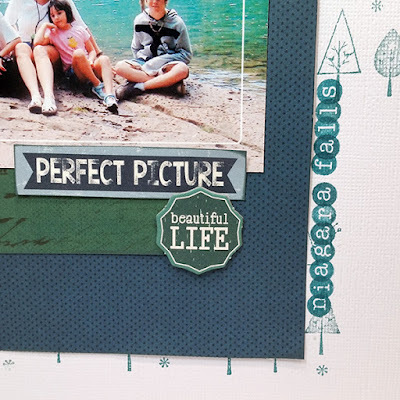 The colors were a great match for the blues and greens of my lakefront picture but there just was not a lot to work with - just scraps! Fortunately, Quick Quotes has a wide selection of PowderPuff Chalking Inks that coordinate with their paper collections. I used Bora Bora ink and then I emphasized the outdoor theme by choosing a background stamp with lots of trees. 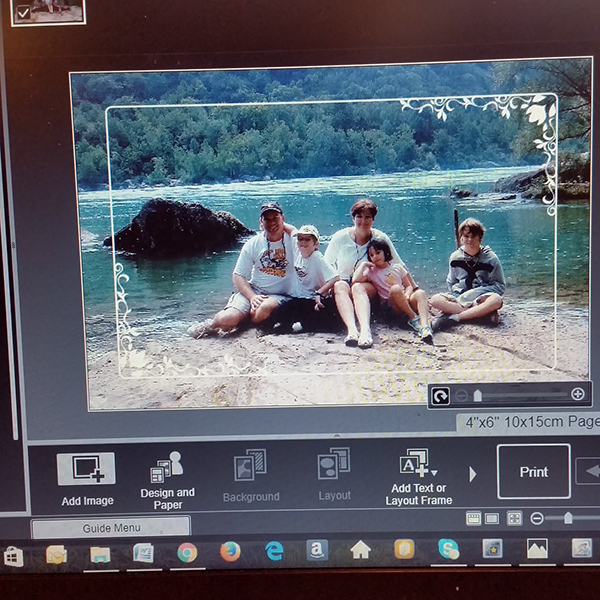 In addition to creating the background, I also stamped the location of the photo along the edge. Take advantage of all of those coordinating PowderPuff Chalking Inks to stretch your scrapbooking supplies! 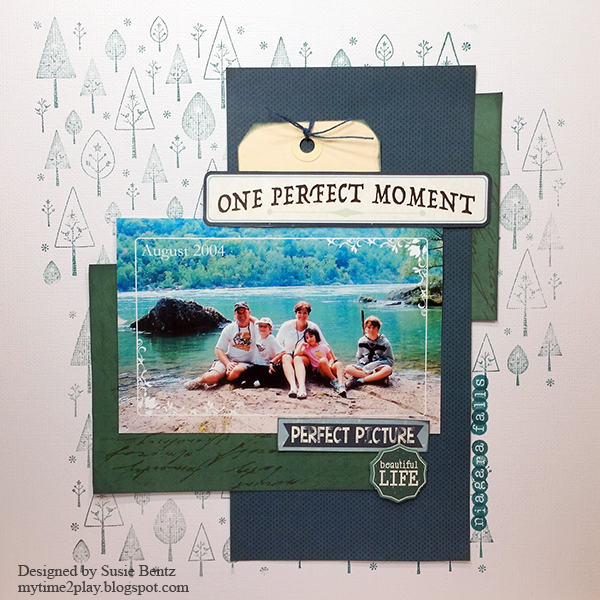 Fabulous work and great layout Susie!